Many legends speak of this world, home of an ancient empire destroyed by its own greatest achievement: the Highest Science, the pinnacle of technological discovery. 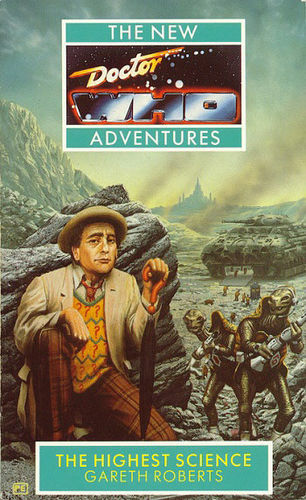 When the TARDIS alerts the Doctor and Bernice to the presence of an enormous temporal fluctuation on a large, green, unremarkable planet, they are not to know of any connection with the legend. But the connection is there, and it will lead them into conflict with the monstrous Chelonians, with their contempt for human parasites; into adventure with a group of youngsters whose musical taste has suddenly become dangerously significant; and will force them to face Sheldukher, the most wanted criminal in the galaxy.